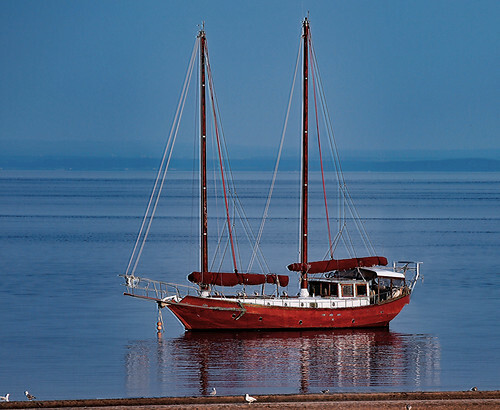 Red and white schooner in the early morning. 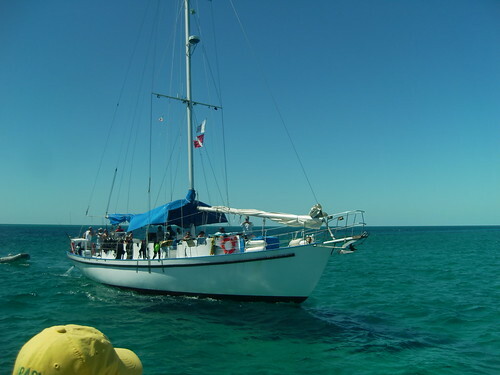 One of three Backbeard's Cruise's sailboats. Pirate's Lady. 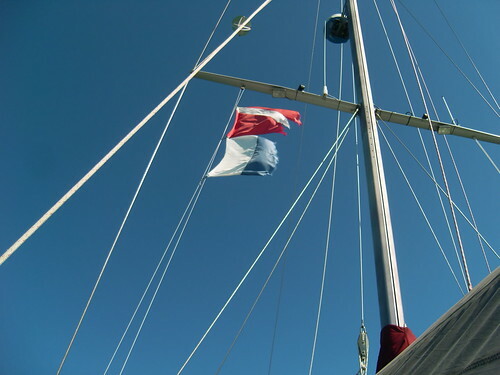 The dive flag and the Alpha flag.